Businesses that require a fast move to meet a deadline or grand opening date will find our relocation services quite expedient. We provide a Move Coordinator who will help you plan and organize a move that stays within your schedule. Our movers are well-trained and courteous employees who love helping you get set up in a new location so that everyone is able to get back to work as soon as possible. Don't stress out over your move! 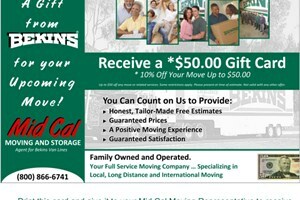 Mid Cal Moving & Storage has the services you need to make a smooth transition to a new home or business. Request your FREE moving quote today by calling or filling out our online form!